Diving in the Red Sea can be one of the most inspirational experiences of your life. The Red Sea is a spectacular ecosystem formed millions of years ago. The Red Sea is open to the Indian Ocean through the Mandib Strait and the Gulf of Aidan to the South. About 2250 km (1398 mi) long and 355 km (220.6 mi) wide at its widest, and is the northernmost tropical sea. Being surrounded by desert climate makes the Red Sea warm and pretty salty, since it receives minimal waterfall each year, and much evaporation occurs as a result of the heat. This also means that the Red Sea is relatively warm, with average water temperatures in February being 22°C (72°F) and reaching 30°C (86°F) in June – August. 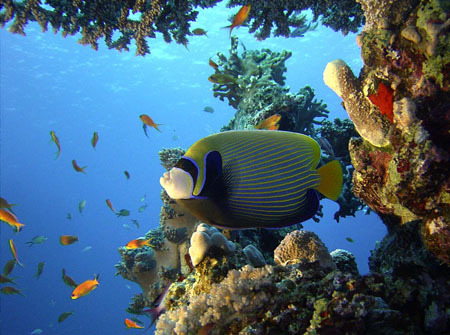 The water conditions of the Red Sea have helped to nourish more than 1200 species of fish, of which about 10% are native only to the Red Sea. These fish are supported by about 2000 km (1240 mi) of coral reefs along the coast, some as old as 5000 – 7000 years old. Among these reefs can also be found dolphins, turtles, and approximately 44 species of sharks. Though there are a few species that are harmful to humans, most species are actually harmless. 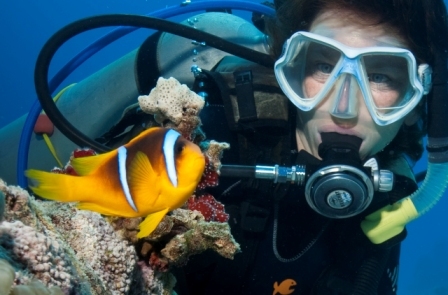 Diving in the Red Sea also offers something for everyone. Not only is there plenty of nature to enjoy, but the further North you go, there are also many wrecks that are quite beautiful and worth a visit. Since the Red Sea has had ships traveling through it as an important trade route for centuries, some of these ships have gotten caught on rocks and sunk, and some have even been sunk during World Wars I & II. Needless to say, these wreckage sites offer sine stunning views, having been populated by some coral and fish in the years since their sinking. While there are plenty of great dive sites worldwide, the Red Sea really is amazing in that there is such a vast variety of marine life, and the conditions are just right, so you’ll be able to experience a sea teeming with unique life & sites, while also being able to visit some of the most historically significant regions in the world. Dive by taking a day boat or a live aboard. 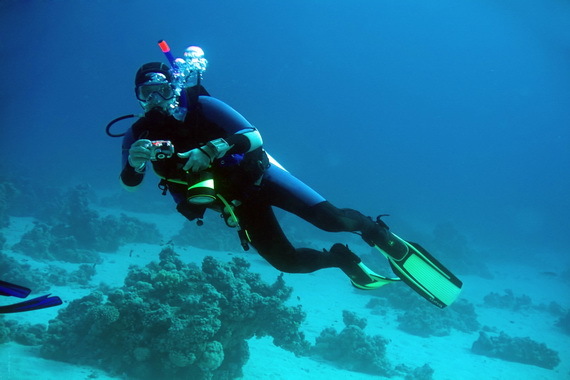 Either way, diving the Red Sea has never been easier or more worthwhile! 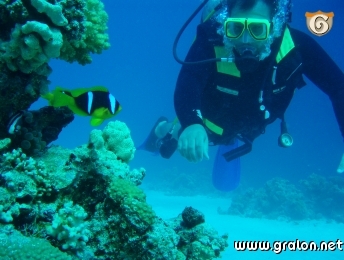 Marsa Alam is a great diving destination. Marsa Alam enjoys pleasant water temperatures year round, with winter temperatures being about 24°C (75°F), and summer water temperatures around 30°C (86°F). Being located further south, Marsa Alam enjoys less pollution and crowds, making the water clearer, though in April and May visibility isn’t at its best as a result of a seasonal boom in plankton. Overall, Marsa Alam is so wildlife friendly with its warm waters, it’s common to see bottlenose dolphins, spinner dolphins, sea turtles, sharks, and even a dugong. Life is so peaceful here, and so are the waters, it allows divers and snorkelers a great opportunity to experience the colorful coral and some its friendly inhabitants. 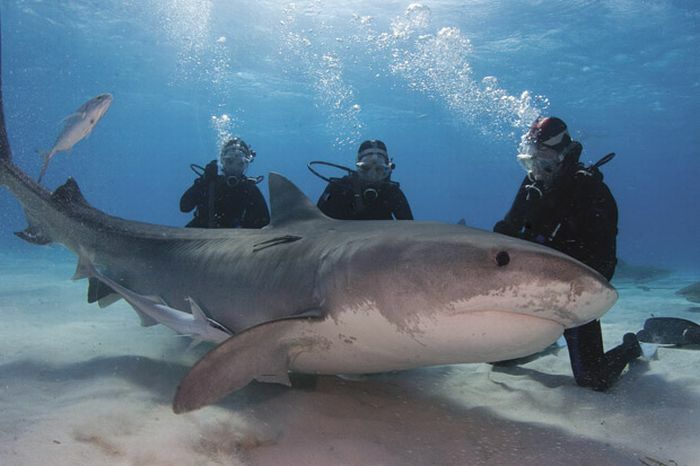 Diving Safari is the southern Red Sea’s most popular tourism & diving activities that occur in Marsa Alam.